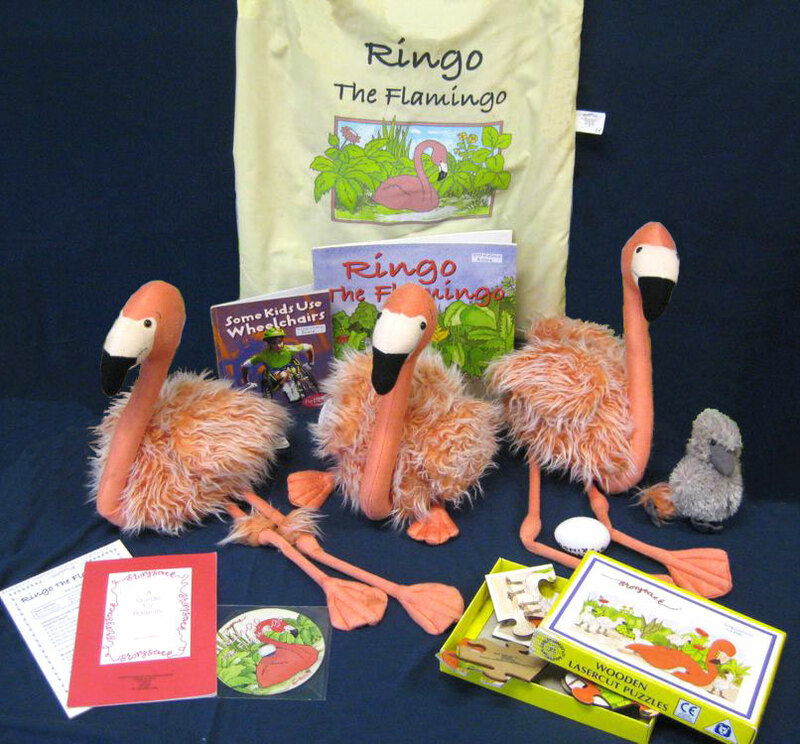 Ringo was not like other flamingos, as his legs just didn’t work. Even though he could not do many of the things other flamingos could, he was still able to make a valuable contribution to the flock. Find out how his bravery was rewarded in this sensitively-told story, that proves that talents are even hidden under the fluffy feathers of a flamingo! *Storysack donated by Myatt Garden Nursery (originally purchased for the school by Lewisham Council).